Higher education can't — and won't — look the same in 10 years as it does today. But our goal at Pacific University has always been, and will always be, to change lives. To open minds and create possibilities, to enable careers and bright futures. Founded by pioneers who traveled the Oregon Trail, the Pacific of today retains the heart and soul of those who were willing to take the lead and embark on a life-changing journey to their future. Pacific is on the crest of a positive wave. We are ready, and this is the bold move forward that our students, alumni, partners and community have been waiting for. With a strong vision of our future in place, we are solidly poised for groundbreaking accomplishment, growth, discovery and service — needing only the input of outside support to accelerate our movement forward. Now is our time to Lead On. We've raised $53.8 million of our $80 million goal! 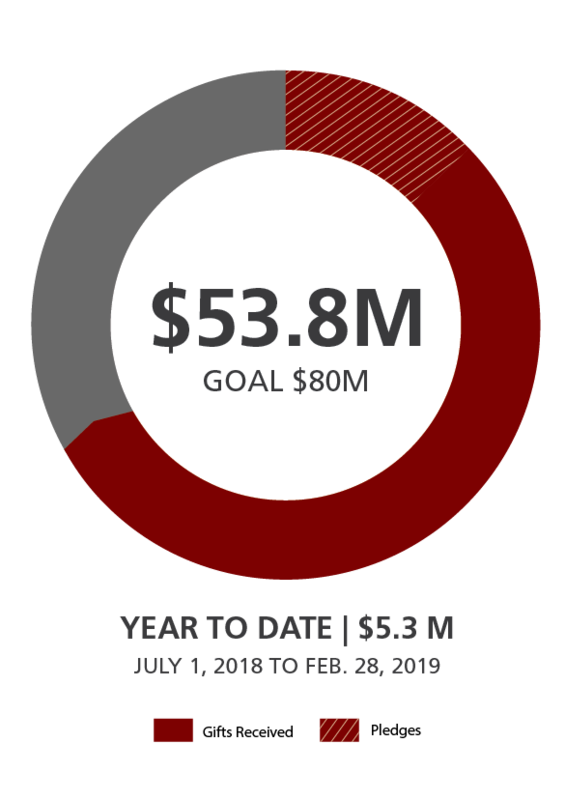 In this fiscal year (July 1, 2018 - Feb. 28, 2019), we have raised $5.3 million. 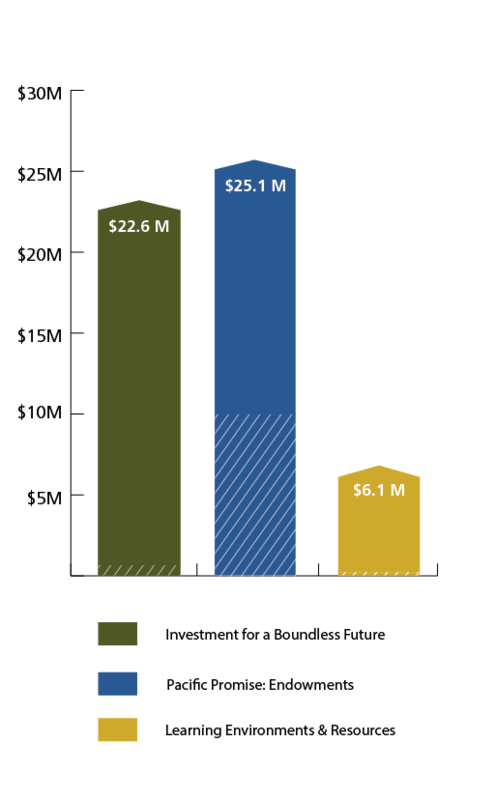 These funds were raised for our different campaign priorities: $22.6 million for our Investment for a Boundless Future, $25.1 million for the Pacific Promise: Endowment and $6.1 million for Learning Environments and Resources.